The Norikura Snow & Ice EV Snack event which began in 2017 is now being held for the second year in a row. 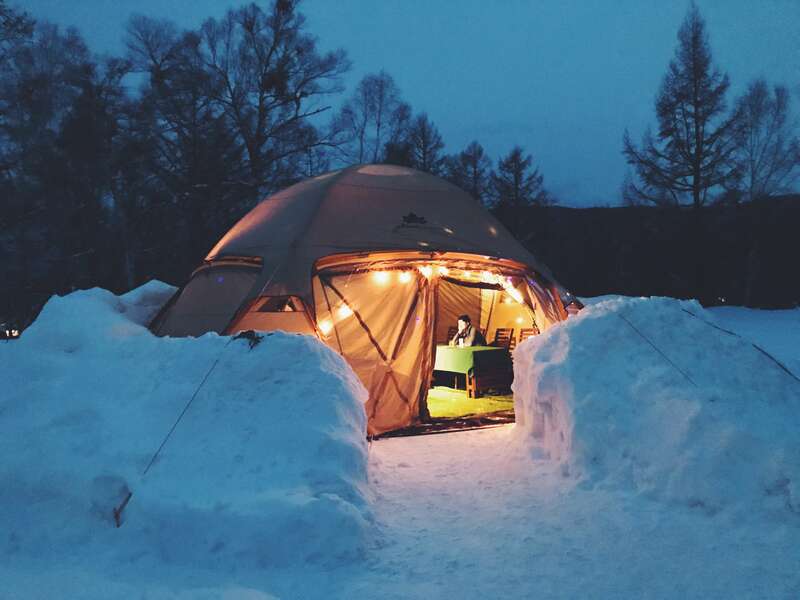 This activity allows people to camp out in a tent deep in the snowy and silent region of Norikura Kogen. Snacks and sake are served on weekends. 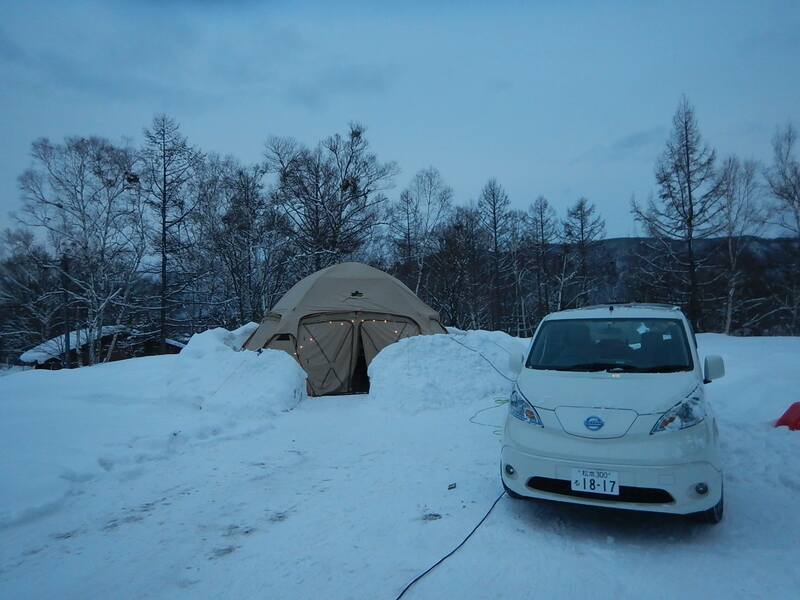 The tent is also powered by the Nissan e-NV 200 electric car which is both environmentally friendly and allows your tent to light up during the dark snowy evenings. Last year’s event was attended by many people from both inside and outside Nagano Prefecture, and it was particularly popular with those on their way back from ski trips. The activity ties in with the area’s new attention to night life. It’s a chance for both tourist and locals to come together and build closer bonds to the area. 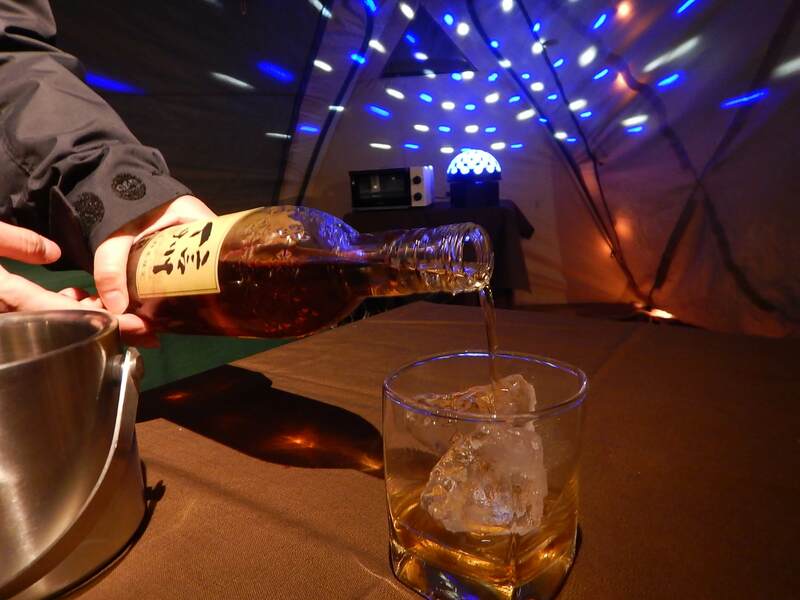 Enjoy a new outdoor winter activity lost in the snow in Nagano. *May be subject to cancellation without notice as a result of bad weather.